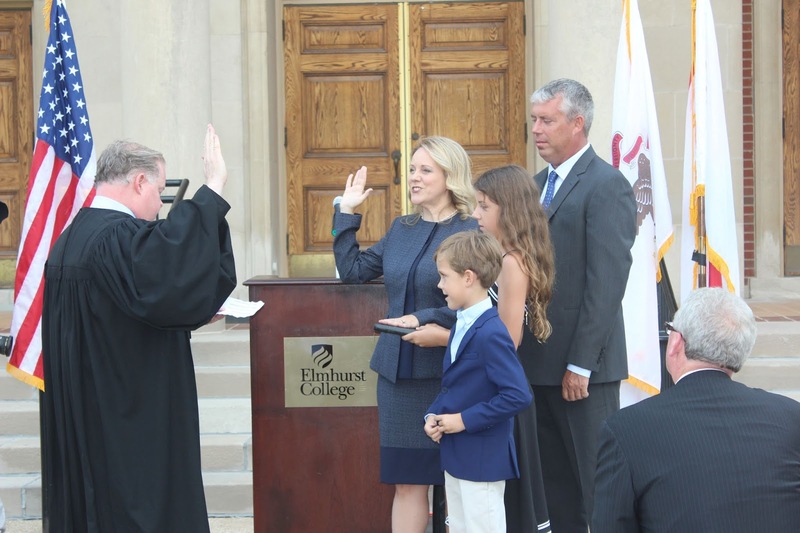 Elmhurst College Trustee and 4th Ward Alderman Kevin York welcomed guests, and the Honorable Liam Brennan, 18th Judicial Circuit Court Judge, administered the oath of office. Mazzochi was introduced by State Senator Chris Nybo (R-Elmhurst). In addition to her role as Chairman of the Board of Trustees at COD, Mazzochi is a founding partner of Rakoczy Molino Mazzochi Siwik LLP. Her Boston University undergraduate degree was in Political Science and Chemistry (Biology minor); her Juris Doctor degree was with honors from the George Washington University in Washington, D.C. She has a passion for science and commonly brings her scientific knowledge and analytical skills to her private sector work. She will also bring that expertise to Springfield. 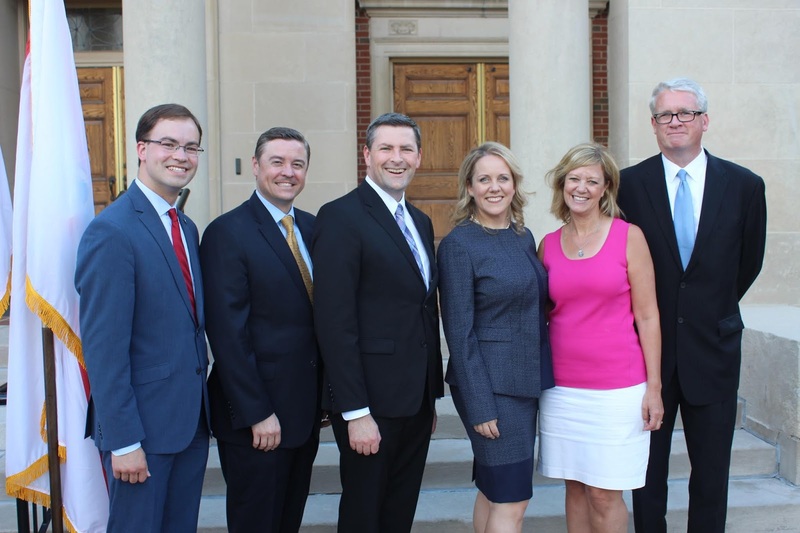 Mazzochi was selected to fulfill the unexpired term of Patti Bellock, who was recently appointed to serve as Director of the Illinois Department of Healthcare and Family Services (DHFS). Mazzochi’s local office operations will remain at 1 S. Cass Avenue, Westmont Centre, Suite #205 in Westmont. The district office phone number will remain (630) 852-8633.